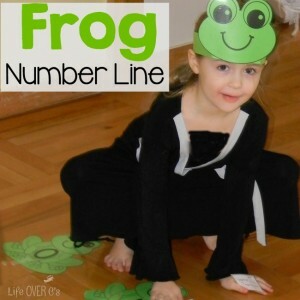 Spring is such a fun time to learn about frogs. They are perfect for observing life cycles and learning about their habitat is equally engaging. 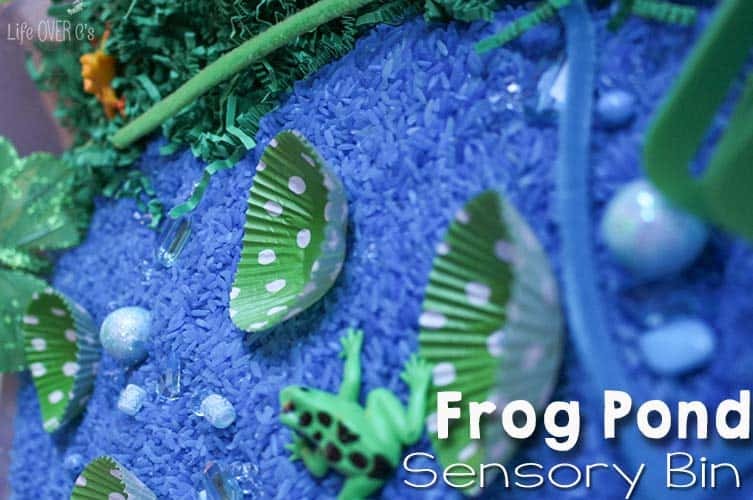 This frog & pond habitat sensory bin provides a great opportunity for kids to demonstrate their knowledge about frogs and habitats. There is no wrong way to use a sensory bin like this. 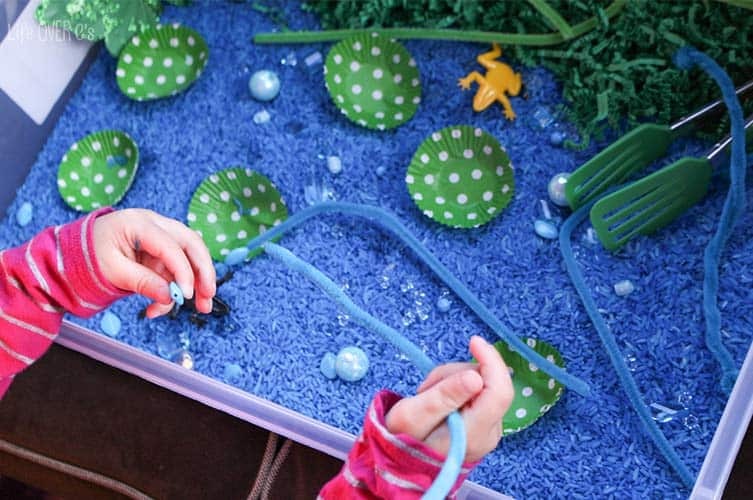 Besides that though, this habitat sensory bin is all about exploration. Whether it be picking up the rice in their hands and feeling the sensation of it trickling through their fingers, using the tongs to pick up tiny objects, or playing pretend with the frogs, there are so many different ways to use this bin! 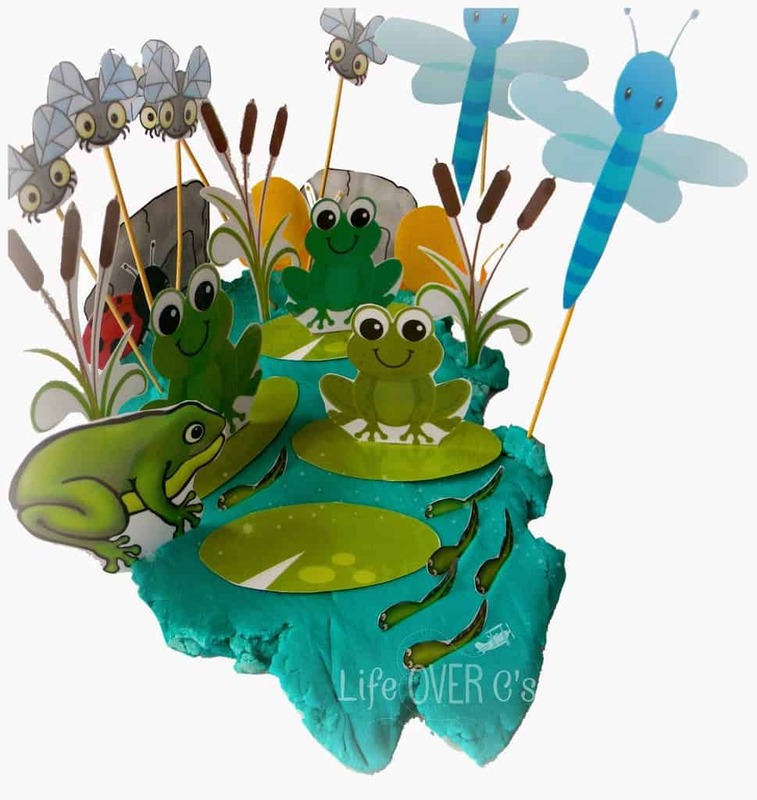 From preschool on up, you can talk about the life cycle of the frog while the kids are playing. It might even be a good story time activity, since some kids listen better when their hands are occupied. My special needs preschooler is not ready for learning about life cycles or habitats, so we focus on language skills when she plays with sensory bins. Great words to practice with this bin are: jump, hop, frog, grass, swim and the colors of the frogs in the bin. She also worked on trying to thread the beads onto the pipe cleaners which is great for hand-eye coordination and fine-motor skills. 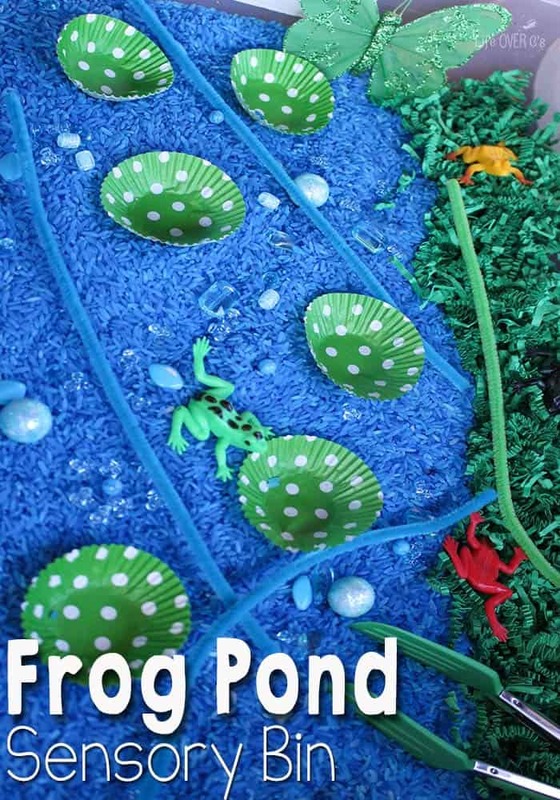 You could also combine our free frog & pond printables to extend your play. We used them with play dough, but they also work great in sensory bins. Thanks! My kids love frogs!